The course is spread out over two days to allow you to ensure you receive quality teaching, individual attention and plenty of supervised practice within a comfortable learning environment. Please contact Joy for the full teaching course details which is in accordance to UKRF ( UK Reiki Federation ) and to book your place. 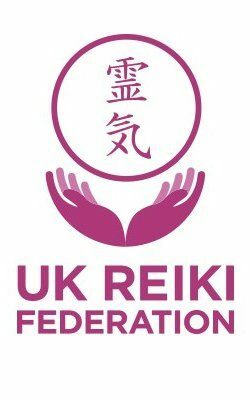 There are 4 recognised levels within the Usui System of Natural Healing approved by the UK Reiki Federation and Usui reiki lineage. Joy can also teach and guide you through these levels as you grow and develop, and support you as you become more attuned to Reiki energy and healing. Level 2 – Second Degree | Reiki Practitioner, receiving 3 of the reiki healing energy symbols and advanced attunements. Level 3 – Third Degree | Reiki Master Practitioner recieving the Master symbol and further advanced attunement. Level 4 – Reiki Master/Teacher in which you learn to teach Reiki and receive the final Master/Teacher attunement. On this training course Joy will teach you how to apply positive hypnotheraputic healing suggestions combined with reiki healing techniques. This will include supervised practice on the day for individuals or for two people working together to ensure quality teaching and individual attention within a safe and comfortable environment. All scripts will be provided. Please contact Joy on 07919 051956 to discuss your interest.